The exhibition will take place at Somerset House in London during September 2018, with installations from more than 40 countries including the United Kingdom, Israel, Puerto Rico and Guatemala. Guatemala, August 2018. 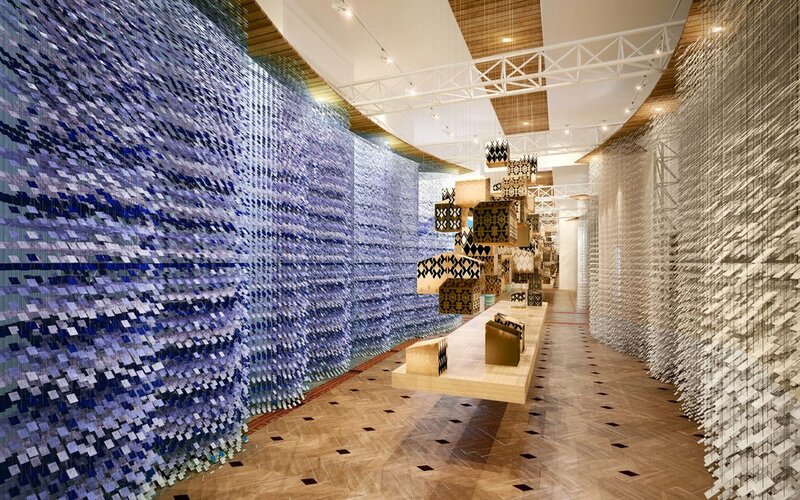 The group of countries participating in the 2018 London Design Biennale, from September 4 to 23, include the United Kingdom, Latvia, Israel, Norway, Lebanon and Guatemala. The stage for their artwork will be Somerset House, in the centre of London, with the presence of designers, architects, artists, scientists and writers from more than 40 countries, cities and territories, who have created installations based on contemporary design, as well as innovation guided by design and research. “ Emotional States” is the theme for the installations and they focus on sustainability and social equality. Designer Diego Olivero, from Olivero & Bland Studio, and textile artist Sylvia Denburg, from Zyle, created Guatemala’s installation. Their installation “Palopó” is a recreation of Lake Atitlán and the area of Santa Catarina Palopó as a glance towards design to promote sustainable economic and cultural development of the area, inspired by the project “Pintando Santa Catarina Palopó” (Painting Santa Catarina Palopó). The architects and designers Juan Olivero, Thomas Bland, Andrés Velásquez, Diego Reyes and Sandra de León integrate the team. Each person that crosses the threshold of “Palopó” will feel immersed in the deep waters of Lake Atitlán and the incredible culture that envelops it. It will be a unique experience, a mystical encounter with a community that lives and moves. The installation was commissioned by the Ministry of Foreign Affairs through the Embassy of Guatemala in The United Kingdom of Great Britain and Northern Ireland, curated by Cecilia Santamarina de Orive, Cultural Attaché Ad Honorem from the Embassy. 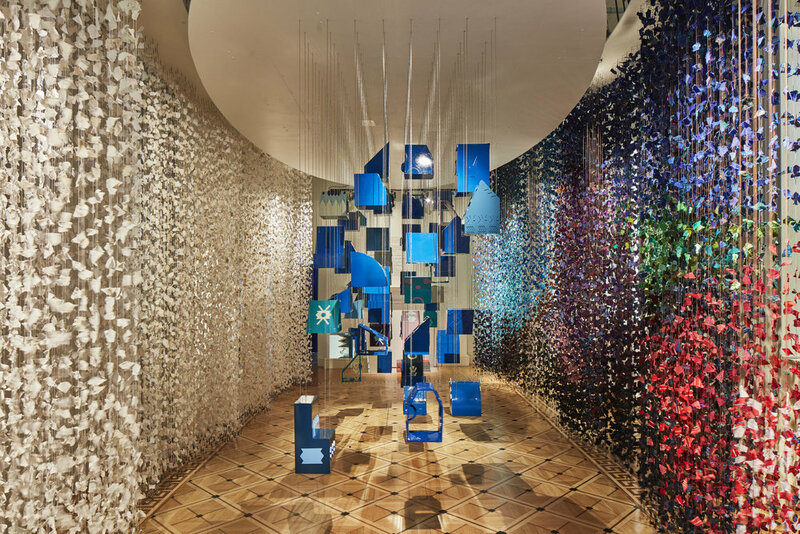 The synergy of creative minds that got together for the project produced a cohesive installation where both Olivero and Denburg connected to create a contemplative experience for the visitors. “Palopó” will be covered in textile hand-made by the indigenous people of Santa Catarina Palopó, specially woven to create this masterpiece. The design of the piece recreates the mountains surrounding the lake. In the center there is an installation of contemporary geometric shapes that represent the town of Santa Catarina Palopó. In this way, spectators will not only learn more about the culture and the project “Pintando Santa Catarina Palopó”, but also of the change that has taken place in a community that uses art as a tool to generate positive sustainable impact. Special thanks to the following companies that have made possible the participation of Guatemala in the London Design Biennale; Official Sponsors: Cementos Progreso, Asazgua, Darío Escobar, Perenco, Grupo Buena and Jaguar. With the support of: CPS, Armet, Casa Palopó, Cemaco, Marcas Mundiales, Studio Lucido, Exatec, Sade Estudio and Chapin Films. Government institutions that gave their support: the Ministry of Economy, Instituto Guatemalteco de Turismo (INGUAT) and the Ministry of Foreign Affairs (MINEX). It is an initiative of Harris and Melissa Whitbeck, two Guatemalans who grew up visiting this town, forming a strong bond with this community, its people and Lake Atitlán. They wager that, through art and culture, by painting the urban area of Santa Catarina, they are generating the starting point that will draw in additional benefits to this population, from getting the community involved, to attracting investment from different institutions that will contribute to the solution of the various social, environmental and economic problems faced by its inhabitants. They got twenty community leaders involved, whom participated in workshops given by the Guatemalan designer Diego Olivero who lead the design efforts the gigantic canvas, under mediation from Asociación Ambiental G-22 and the support of Hotel Casa Palopó. The final design that will be applied to the 850 houses in the urban area of Santa Catarina Palopó is based on both, the older and the more contemporary Güipil (common traditional garment worn by the indigenous women) used by the women of the municipality. To paint, a new and improved version of paint made mainly with lime, has been developed by the laboratories of Horcalsa, Cementos Progreso and Pinturas El Volcán because it not only benefits the health of the families, but also Lake Atitlan. The “Asociación Pintando El Cambio” (Painting Change Association) is in charge of the project, formed by Harris Whitbeck, Claudia Bosch, Melissa Whitbeck, Maria Cristina Bosch, Cristina Pullin, Alfredo Maúl, Ignacio Bastarrechea and Diego Olivero. They focus in the sustainability of Santa Catarina Palopó and join public and private efforts using art as a tool for change. Born in Guatemala, Diego Olivero is an industrial designer with a multidisciplinary career based in creativity, innovation and social development. He obtained his B.A. in Industrial Design from the Art Institute of Fort Lauderdale. As creative director of his firm Olivero & Bland Studio, he has worked in different architectural projects, interior design and installations in Guatemala, Venezuela, Miami, Brazil, Honduras, Panama and the United Kingdom. Through his creative language, he has received different recognitions and prizes. Recently he received a Gold Medal in the IX Bienal de Diseñadores de Interiores de Iberoamérica in Mexico. His passion for hand made products and design have taken him to establishing the company Meso Goods, which works with more than 550 artisans from Central America, distributing his designs in 20 countries, through museums, stores and exhibitions. His work is available at the Metropolitan Museum (MET), Santa Barbara Museum of Art, New Orleans Museum of Art, Perez Art Museum and San Antonio Museum of Art, among others. Recently he was selected by the Young Leaders of the Americas Initiative by the United States Department of State, for his leadership and social entrepreneurship. Textile artist. B.A. in Spanish Literature from Syracuse University, where she formed her sensibility as an artist and then attended the College of Fine Arts to study fashion design. Going to the local markets with her mother awoke in her the love for the Guatemalan indigenous clothing. While living in New York, Sylvia created her brand called ZYLE, specializing in hats and woven accessories. Upon returning to her native Guatemala, she re-established her connection with the traditional weavings of the country. She ventured into designing pillows and quilts, which supports the communities of the interior of the country through manufacturing and exporting. Sylvia’s work is part of the emblematic interior design of establishments such as the Marriott Courtyard in Guatemala, and Royal Caribbean Cruise as well as private collections. The stories of indigenous women are told through Sylvia’s art, spreading to the world in the form of tapestries, mosaics, and aerial mobiles created from Mayan textiles. Creator of diverse projects in Guatemala, from feature films to numerous artistic installations combining painting with live music. Due to her work as a creative producer Cecilia was named Cultural Attaché Ad Honorem, from the Embassy of Guatemala in The United Kingdom of Great Britain and Northern Ireland, when she moved to London in the year 2014. Since then, she has taken various installations to Europe to show the Guatemalan talent and culture. Cecilia has curated eight art exhibitions in Great Britain. In 2016, she was in charge of curating “Guatemala: Rebooting Dreams”, that was presented at Somerset House International Fashion Showcase, which received a special prize from the jury. Juan Olivero, Thomas Bland, and Diego Olivero established Olivero Bland Studio in the creative District of Guatemala, Cuatro Grados Norte in 2003. The Studio works with architects, industrial and interior designers as well as urban planners for the successful development of our client’s projects. The studio works Architecture, Urban Development, Interior and Industrial Design offering key turn solutions for the corporate, residential, commercial and hospitality projects. The studio has worked and collaborated in different projects in Guatemala, United States, Brazil, Honduras, Panama, Colombia, and is always looking to generate a positive impact in the communities where the projects are based. Installation at London Design Biennale 2018.